The new 2018 model year is now available in Sighthound’s car recognition software. 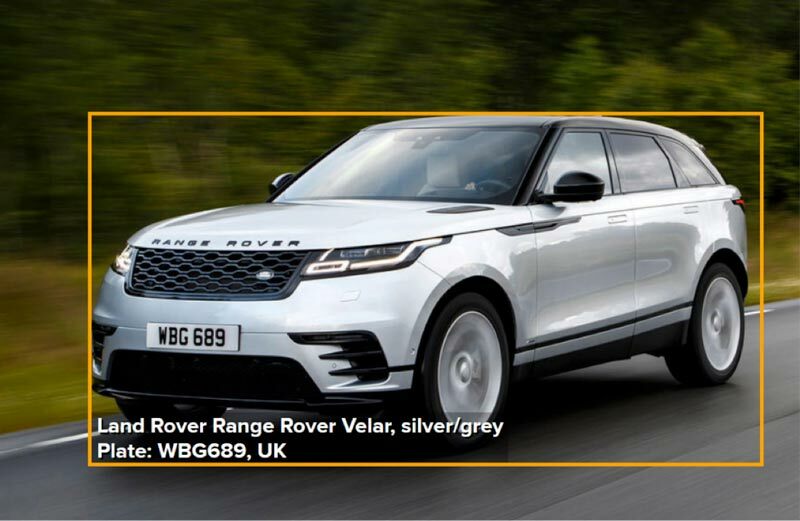 We’ve upgraded the software several times since we launched car recognition last year, improving both scope and accuracy, and this new release captures most of the new model year cars in North America, including the Range Rover Velar, Jaguar E-Pace, Tesla Model 3, Volvo S90, as well as 2018 redesigns such as the new Toyota Corolla. Sighthound currently returns the make, model, color and type of vehicle in live or recorded video streams or in still images. So, depending on the product requirement, Sighthound can return data such as red pick-up truck, white Ford Econoline van, or blue Jaguar F Pace SUV. The software has been a big hit with public safety bodies, law enforcement entities, parking system operators and surveillance firms. It can be combined with our automated license plate reader for a complete description of a vehicle. Below shows an image returning a UK vehicle’s make, model, color, country of registration and license plate. All a lot more sophisticated than the courier font alpha numeric readout of legacy systems. What’s to come? 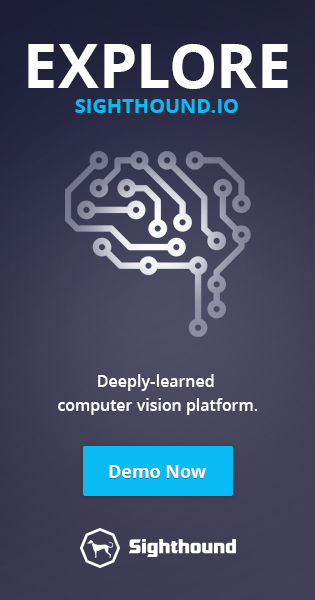 Well, those of you who saw reports of our CVPR Show demos last year know that we were the first to get deep networks running CPU-only on mobile phones. We showed our deep facial recognition software, and you can still play with it by downloading the Sighthound Recognize app from the AppStore. 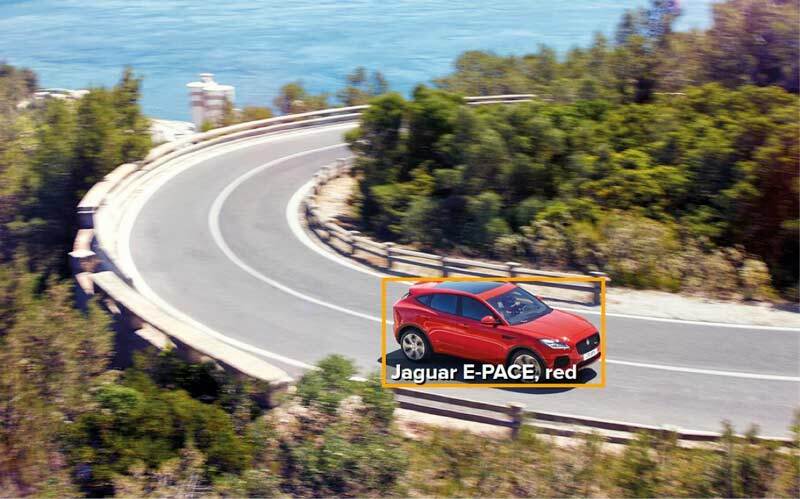 We also have the car recognizer running on mobile devices and are making the SDK, initially iOS only, available to our Sentry commercial customers. In the coming months we are expanding the software to recognize cars that are specific to other localities around the world, often at customer behest. We will also be introducing regular updates as new models are released throughout the year. If you’d like to play with the Sighthound car recognizer, the easiest way is to use the Sighthound Cloud demo. Developers can also prototype their applications against the Cloud service and make sure it works for their use cases. Businesses wishing to incorporate the software into products and services can contact sales@sighthound.com. We can currently deploy to Linux servers, nVidia TX1/TX2 low power boards, iOS devices and private clouds.